Marc Lamont Hill described violence as a right of the Palestinian Arabs. I felt that he was justifying my murder and that of everyone I know in Israel, from babies learning to crawl to my grandmother's best friends. The writer, who made aliya from the US, is on the news staff of Arutz Sheva. Imagine if you were there when a respected pundit wished destruction upon America "from sea to shining sea." Imagine if he said that violence against American citizens was justified. Imagine if a crowd of diplomats and politicians applauded this call for death and destruction. Such a scenario sounds surreal. 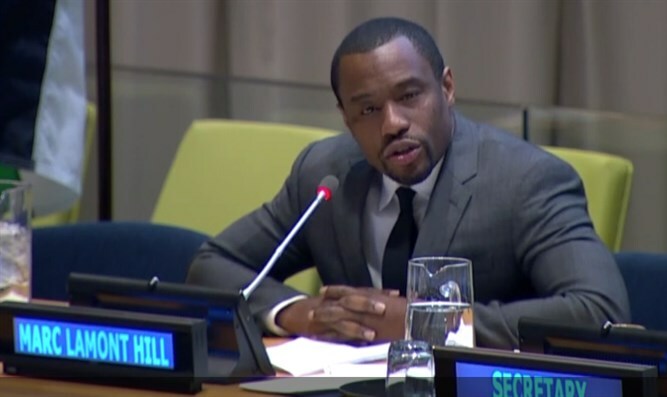 But that is what I experienced while listening to now-former CNN contributor Marc Lamont Hill spew his hatred live in the halls of the United Nations. I thought I knew what I was getting into when I visited the UN headquarters in New York for the opening meeting of the International Day of Solidarity with the Palestinian People last Wednesday. Although I had never been inside the UN building before, I have covered the UN many times as a journalist for Arutz Sheva, a bilingual Israeli news website, and I am familiar with the anti-Israel bias of the organization. The speakers at the event mostly performed as expected. There were the usual denunciations of Israel, the usual one-sided blaming of Israel for the failure to achieve a peace agreement, the whitewashing of the Palestinian Authority, and the anti-Semitic accusations of the 'Judaization' of Jerusalem, the holiest city in Judaism. Perhaps the biggest "surprise" was when UN Secretary General Antonio Guterres explicitly called for Eastern Jerusalem, which includes the Western Wall and the Holiest site in Judaism, the Temple Mount, to be the capital of Palestine. Prejudicing the outcome of negotiations is only bad when it goes the other way, I suppose. Despite the one-sided, anti-Israel atmosphere, there was a sense that some things were too extreme to be said in the UN headquarters. Calls for violence were noticeably absent. Until Marc Lamont Hill's turn to speak came. Hill did not merely call for an Israeli withdrawal to the pre-1967 borders. He did not call for two states for two peoples or for a negotiated solution to the conflict. Marc Lamont Hill described violence as a right of the Palestinian Arabs. He criticized those who called for the Palestinians to abandon terrorism and incitement, saying that progressives "cannot endorse narrow politics that shames Palestinians for resisting." When, a few moments later, he ended his speech by saying that "justice" demands a "free Palestine from the river to the sea," sitting there, it was impossible to see it as anything other than a call for the violent overthrow of the Jewish State. I was in shock as those around me clapped for this vision of a world without Israel. I was was in shock for this justification of violence against my countrymen, my coreligionists, my friends, my family, and myself. I am a Jewish resident of Jerusalem - the western part of the city that supposedly even the UN agrees will remain in Israel. And I was there when Marc Lamont Hill justified violence against me for being a Jewish citizen of Israel. If a Palestinian stabbed me as I was walking on the sidewalk, ran me over as I crossed the street, shot me as I was driving, blew me up with a suicide bomb while I was riding the bus, or launched a rocket that landed on my head, it would be justified as "resistance" according to Marc Lamont Hill. I pushed those thoughts away as I wrote my article on the UN meeting for Arutz Sheva, the first article to describe Hill's speech. I described what he said without commentary, without saying that it was a call to destroy the State of Israel. My primary audience consists of Jews and supporters of Israel. They understand the meaning of the words "from the river to the sea" the same as I. The phrase has a long history, dating back to the founding of the Palestine Liberation Organization in 1964. Then, there were no Israelis or Jews in Judea and Samaria, also known as the 'West Bank', in Eastern Jerusalem, or in Gaza. The PLO charter explicitly excluded those territories from the lands that needed to be "liberated" from Jewish control. It was, from the start, a call to utterly and completely destroy the State of Israel. And it retains that meaning when used by the genocidal terrorist organization Hamas and its supporters. There is an old saying that says to never attribute to malice that which is adequately explained by stupidity. For any of Israel's critics that holds true. But Marc Lamont Hill is not stupid. He is a very intelligent man, a respected political pundit, and a tenured university professor. He did not put his foot in his mouth while speaking about a subject which he knows nothing about. Hill has visited Israel several times - although he would say it was Palestine he was visiting even when he was in pre-1967 Israel. And he has spoken out on Israel on numerous occasions. In 2014, during the last major conflict between Israel and Hamas in Gaza, Hill criticized the existence if the Iron Dome system, which is entirely designed to shoot down rockets before they strike Israeli citizens and towns. He stated that the Iron Dome "not only serves a defensive purpose but de facto serves an offensive purpose. It allows Israel to essentially assault and siege Gaza without any retribution or response on the other side. So again, to some extent, they [ the US] are not just funding defense, they are funding an offensive war and ultimately an occupation. That for me, is the problem." 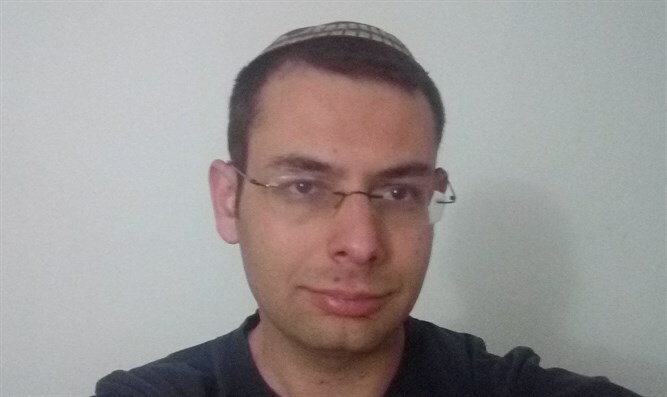 In 2015, he wrote an Op Ed for the Huffington Post in support of Rasmeah Odeh, a terrorist from the Popular Front for the Liberation of Palestine who was convicted for a 1969 bombing at Hebrew University in which two students were murdered. In 2016, he uploaded a picture of himself smiling with Louis Farrakhan, with whom he has shared a long and friendly relationship. Farrakhan is perhaps the most prominent anti-Semite in America today. “Been blessed to spend the last day with Minister Louis Farrakhan. An amazing time of learning, listening, laughing, and even head nodding to music. God is Great,” Hill wrote of his meeting with Farrakhan. In May of 2017, when President Trump called on the Palestinian Authority to “reject hatred and terrorism," Hill said that “Trump’s position on Israel/Palestine is repugnant. His call for Palestine to ‘reject hatred and terrorism’ is offensive & counterproductive." In May of this year, he wrote that the idea that Israel has a right to exist is a "myth." Hill has attempted to defend his speech at the UN by saying that he was misinterpreted. But even in his clarifications, he refused to acknowledge a Jewish State's right to exist and called for a mythical secular state to replace Israel. When a person denies Israel's right to exist, supports terrorists with the blood of innocents on their hands, hobnobs with notorious anti-Semites, and criticizes even purely defensive measures such as a missile defense system, there is no wiggle room when that person demands a state of Palestine "From the River to the Sea." It is a call for the destruction of Israel. When Marc Lamont Hill gave his speech I felt that he was justifying my murder and that of everyone I know in Israel, from babies learning to crawl to my grandmother's best friends. It was truly a surreal experience.